A look at what ground effect is, how it works, and what effect it has on the flight and performance of your airplane. Ground effect: is the increase in efficiency of a wing as it comes to within about a wings length of the ground. The effect increases with the reduction in the distance to the ground. Many have the misconception that it is air pulling up between the wing and the ground or that there is an increase in the density of the air of a substantive amount sufficient to dramatically increase the performance of the wing. I have also heard that “bouncing vortices” create a cushion of rebounding air that… well, it’s wrong so I won’t bother with the rest. The real story is that the increase in efficiency is due to the decrease of induced drag on the wing(s). Air spillage: For a lifting wing, the air pressure on the top of the wing is lower than the pressure below the wing. Near the tips of the wing, the air is free to move from the region of high pressure into the region of low pressure. 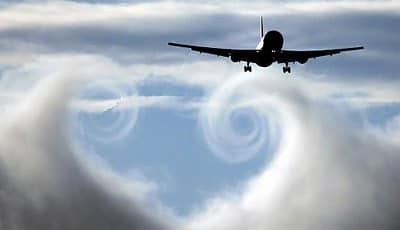 The resulting circulating air flow is commonly manifested in wingtip vortices. The higher pressure air under the wingtips wants to move up and over the wing into the lower pressure area above the wingtips, this has been described also as air spillage. Downwash from the wingtips aggravates this circulation of air (induced flow) and decreases the effective angle of attack of the wing. This is strongest at the wingtips and weakest at the wing root. 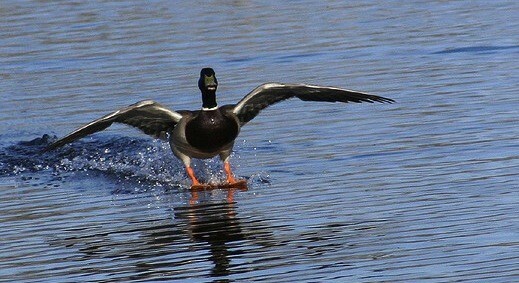 The induced flow produces an additional, downstream-facing, component of the aerodynamic force of the wing. This additional force is called induced drag because it faces downstream and has been “induced” by the action of the tip vortices. As the wing approaches the ground, the circulation below the wing is inhibited. To compensate, the angle of attack is reduced and so is the induced power, and the wing becomes more efficient. When the proximity of the ground or other surface with sufficient density disrupts the spillage of air around the wing responsible for diminishing the lift of that wing, then you, a bird, a plane, or superman, are experiencing Ground Effect. Pilots taking off from deep grass, or soft runways will often use ground effect to lift the airplane off the soft surface at a speed too slow to maintain flight out of ground effect. This reduces the resistance on the wheels and allows the airplane to accelerate to a higher speed before climbing out of ground effect. 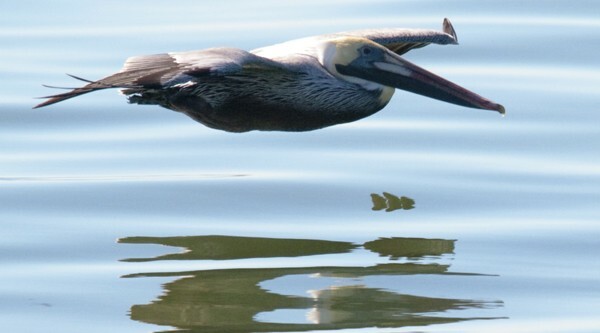 This reduction in drag just above a surface is enjoyed by large birds which can sometimes be seen flying just above the surface of the water (usually with a big grin on their beaks). I think that’s a grin . . . I hope this explanation has been helpful. Ground effect can be used as a tool by the knowledgeable pilot when appropriate and can be one helpful part of what we all strive to achieve 100% of the time: the perfect landing.